WASHINGTON D.C., April 11, 2015 - Policemen guard on Capitol Hill after a shooting in Washington D.C., the United States, April 11, 2015. 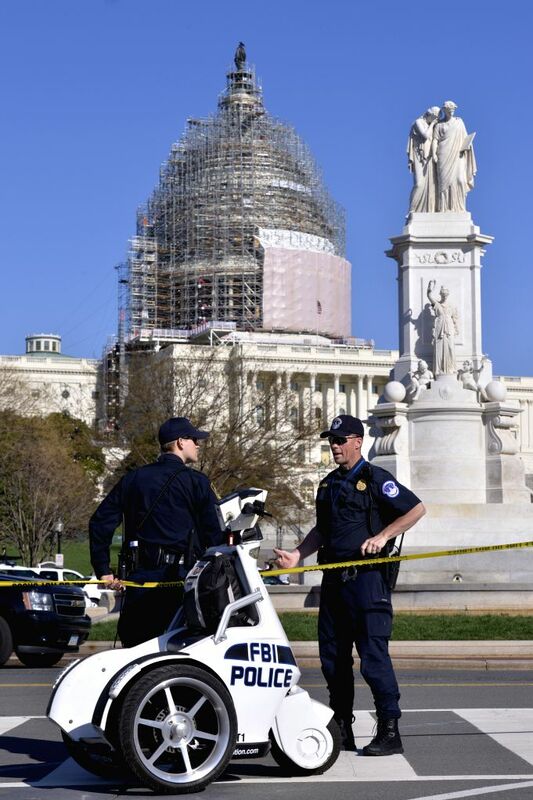 Shots were fired on the West Front of the U.S. Capitol on Saturday leading to a security lockdown at the complex. "Confirmed: self-inflicted gunshot by neutralized subject," Capitol Police spokeswoman Kimberly Schneider said.